California Rhythm Project has presented concerts at a wide variety of venues in San Diego, from elementary schools and colleges to small theaters and large auditoriums. We have performed at the the Nations of San Diego International Dance Festival, at the San Diego Tap & Jazz Dance Festival and at Mojalet’s Summer Series at The Vine. Our San Diego International Fringe Festival performances include On the Corner of Rhythm & Rhyme and the award winning production Beats Without Borders. We have also performed concerts in partnership with CPMA Middle School Dance to benefit their Dance program. 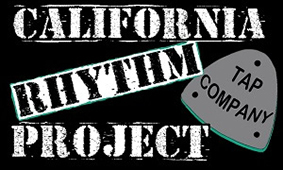 California Rhythm Project is available to perform at fundraisers, festivals, and other events. We can create a program of current repertoire that would include tap classics as well as newer audience favorites accompanied by music from a variety of eras and cultural traditions. This season’s programs include Beats Without Borders, a rhythmic journey around the globe featuring pieces inspired by music and dance traditions from all over the world, TapRoots, a celebration of tap dance pioneers, and excerpts from our recent Hollywood & Vine concert that featured works by tap dance legends from the golden age of film. In this high energy, interactive performance, California Rhythm Project celebrates the history of tap dance and highlights the contributions of African American dancers and choreographers. Discover the legendary dance styles of tap masters like The Nicholas Brothers, Bill "Bojangles" Robinson, Charles "Honi" Coles, James "Buster" Brown and more. California Rhythm Project will lead your students on a journey around the world, exploring the universal language of rhythm and dance. Highlighting cultural transmission, our interactive global trek includes the rhythmic traditions of Spain, Cuba, the Philippines, Africa and the USA. Students will have the opportunity to learn and practice traditional rhythms: stamping their feet to Cuban polyrhythm, engaging in African call and response, and clapping along to Appalachian-inspired bluegrass music. Join us on our journey...no passport required. Educational performances can be arranged through Arts for Learning San Diego. Contact Sherrie Brown at Arts for Learning at 619.282.7599. If you do not have a wood floor, California Rhythm Project can provide one for an additional $150.